From the beginning, G&N Aircraft has considered the ability to perform accessory repair and overhaul in-house a must. By performing this type of work, G&N can help keep customer downtime to the absolute minimum. We have the ability to repair or overhaul Slick and Bendix magnetos, starters, alternators, Precision fuel systems (carburetors and fuel injection systems), Continental fuel systems, Continental oil pumps, and Continental starter adapters to name a few. For more specific information, please contact us. Is your Continental powered aircraft not starting on each try? Do you hear the starter turning, but the propeller is not? G&N can help. We have the ability to repair and overhaul Continental starter adapters and fuel pumps. Most often, G&N finds these problems occur due to the internal parts wearing beyond limits. Using approved methods and parts we can bring your starter adapter back to life. Normal turnaround time is a couple of days, assuming no major internal damage. Should the adapter be beyond economic repair we can order a direct replacement from Teledyne Continental Motors. G&N has the ability to repair and overhaul most of the electrical accessories that mount to the engine, including starters, magnetos, alternators, and generators. Repairs are completed on a parts and labor basis, while the overhauls are a flat labor rate plus parts. Many customers send in components for inspecting and advice (IA). In this instance, the accessory is inspected and the customer is contacted with the results. Similar to engine repairs, a quote can be furnished and the final decision as to how to proceed will be up to the customer. Most jobs can be turned around in a few days. G&N can also provide new and overhauled starters, magnetos, and alternators on an exchange basis. 500-hour magneto inspections can also be performed. G&N has the full capability to repair or overhaul Precision, Bendix, and Continental Fuel Systems. Most fuel systems can normally be turned around in a few days. Carburetors can also be exchanged to help eliminate down times. The exchange carburetors come from Marvel-Schebler, who is now the manufacturer of these items for both Textron Lycoming and Teledyne Continental Motors. We are also an authorized repair facility for Precision Airmotive. If a repair is needed on your Bendix fuel injection system we can handle that as well. 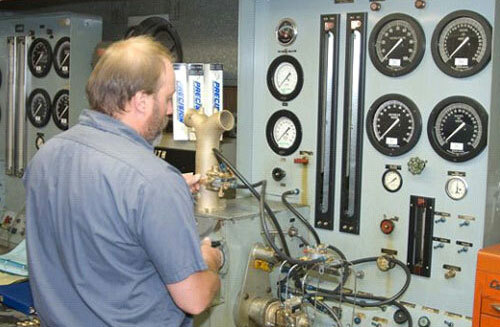 We have the in-house ability to test flow Bendix fuel injection systems. G&N can determine if your fuel system needs just a simple adjustment or minor repair; that saves you the cost of a complete overhaul and allows you to get back in the air with less downtime.